Eric Whitacre: Bio & Choral Music | Santa Barbara Music Publishing, Inc.
Eric Whitacre (b. 1970) is an accomplished composer, conductor and clinician, and is one of the bright stars in contemporary concert music. Regularly commissioned and published, Whitacre has received composition awards from ASCAP, the Barlow International Composition Competition, the American Choral Directors Association, the American Composers Forum, and this spring was honored with his first Grammy nomination (contemporary classical crossover). This year he became the youngest recipient ever awarded the coveted Raymond C. Brock commission by the American Choral Directors Association; commercially he has worked with such luminaries as Barbara Streisand and Marvin Hamlisch. 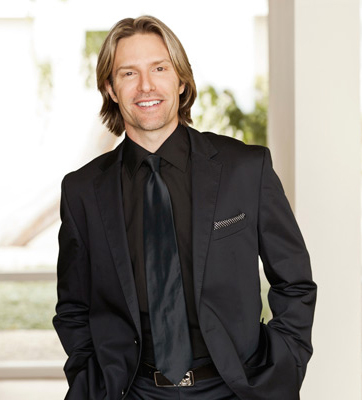 Eric Whitacre has 3 titles published with Santa Barbara.